Mary Ann Short was born at East Appledore, Devon on 29 November 1841 daughter of George Short, Master Mariner, & his wife Joanna (nee Parr). On 1 June 1862, at Holy Trinity Church, Barnstaple, she married Robert Sanders, Ship’s carpenter. 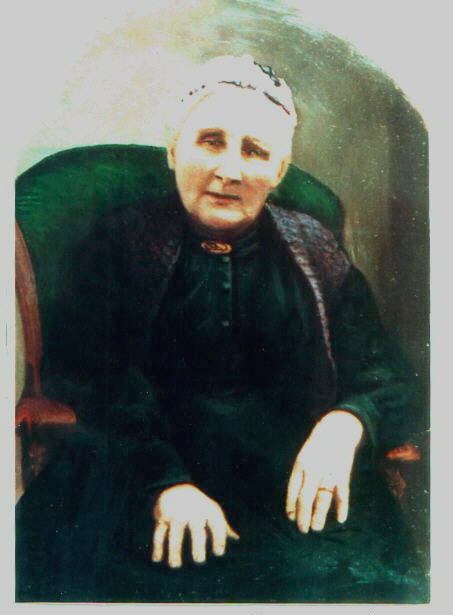 By 1864 she and her husband had moved to Cardiff and their eldest child was born there in that year. By 1871 the family were living at 3 Peel Street, Cardiff and Robert was working as a shipwright, presumably at Cardiff Docks. Between 1881 & 1891 they had moved to 26 North Church Street, Cardiff. Robert died in 1892 and I believe Mary Ann subsequently lived for some time with one of her daughters and eventually with her youngest son, Ernest Albert, who had a farm at Much Marcle, Herefordshire. Mary Ann died at Fine Street, Peterchurch, Herefordshire in January 1920 and was buried with her husband at Cathays Cemetery, Cardiff.